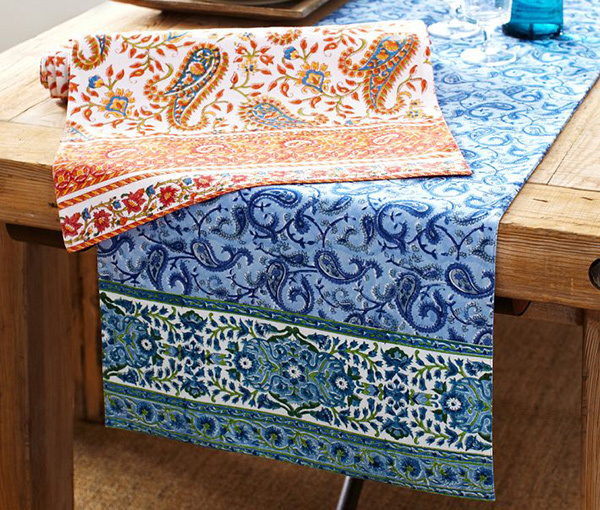 You can transform any table into a work of art using table runners with intricate patterns. 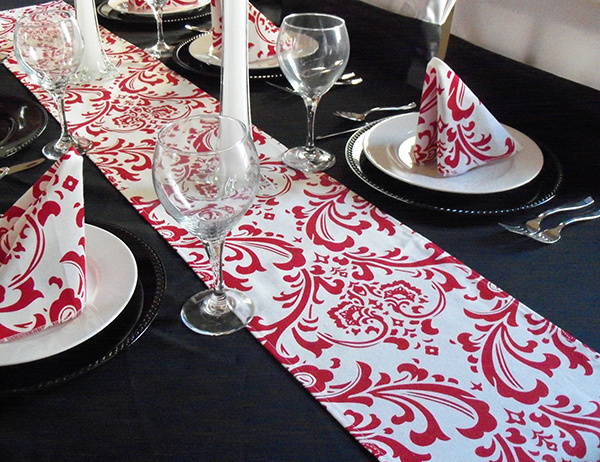 Table runners can turn any meal into an elaborate dining setting. Table runners come in different designs and prints but today, we will be showing you table runners with intricate patterns of ornate swirls, damask prints, paisley patterns and many more. 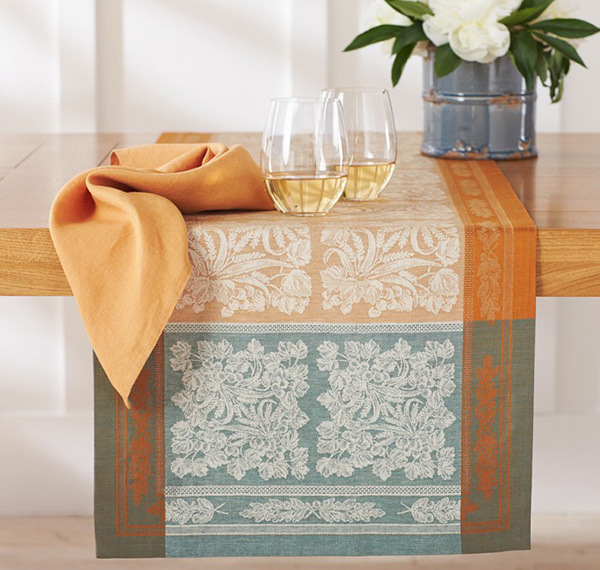 The table runners that you area about to see today are perfect to give your dining room an elegant feel while giving your guest a more welcoming aura. 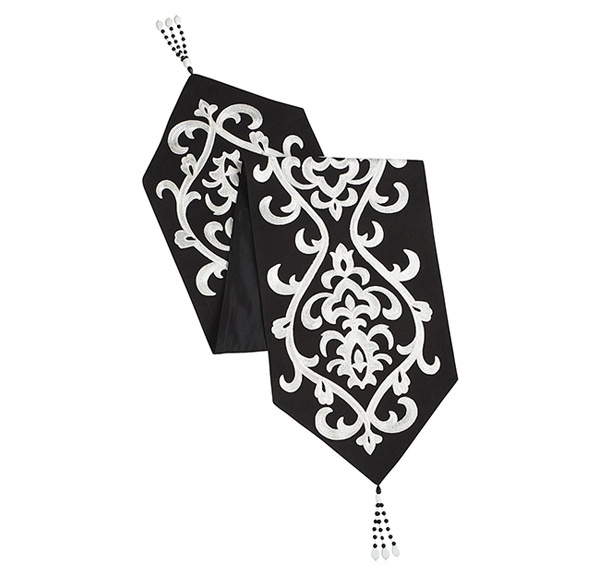 If you haven’t tried using table runners, you can try placing one in your table and you will surely be pleased how these table accessories can enhance the look of your dining area. 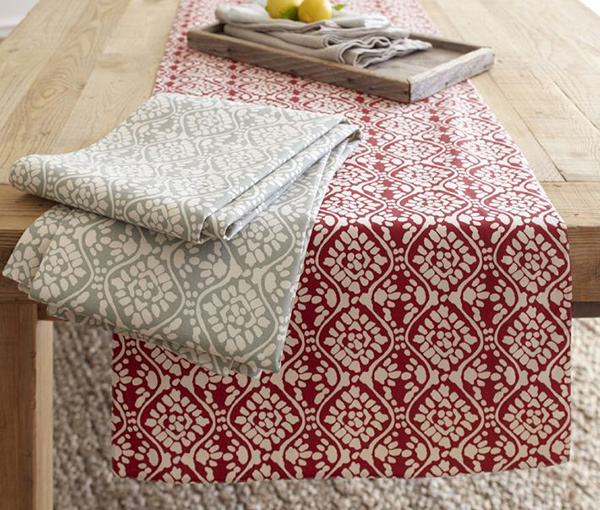 Take a look at 15 table runners in intricate patterns. 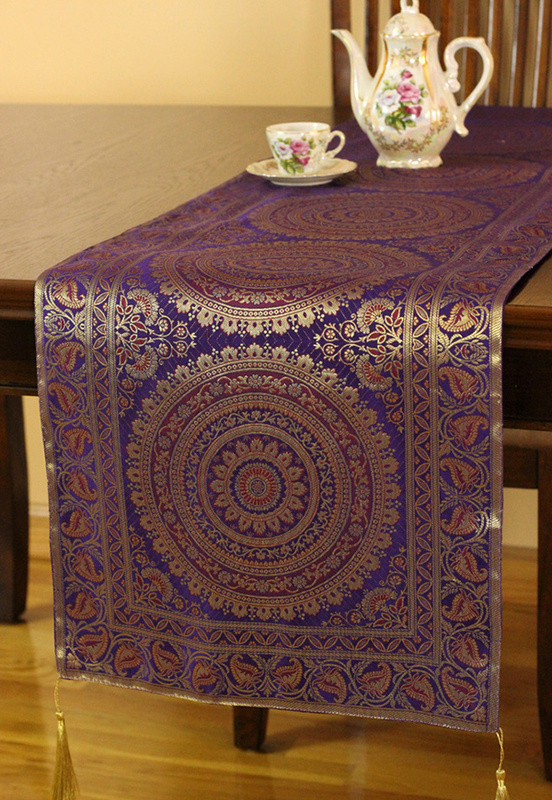 A table runner made by hand using the ancient art of woodblock printing. 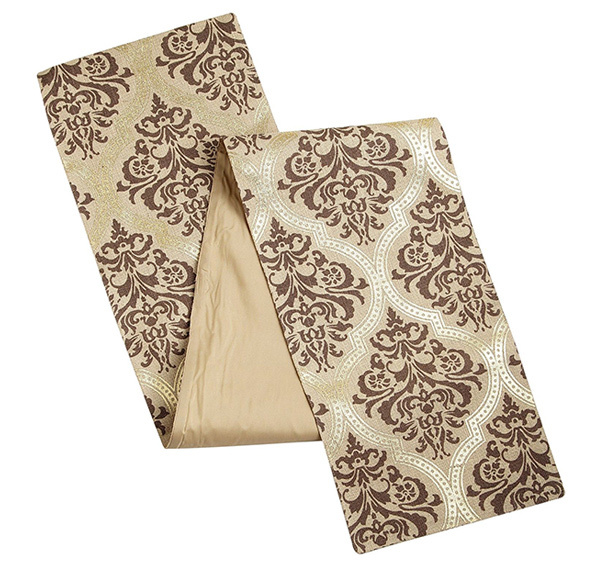 It has a palette of paisleys that is perfect for casual and special meals. Interlocking damask patterns stenciled in natural jute creates a celebratory quality to your dining area in whatever occasion it may be. This one has a great deal of details on it. This has crafted in India. 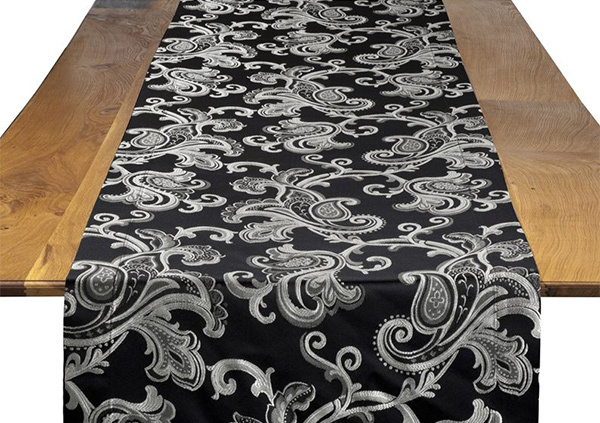 Damask print in black background would bring in sophistication to your dining area. 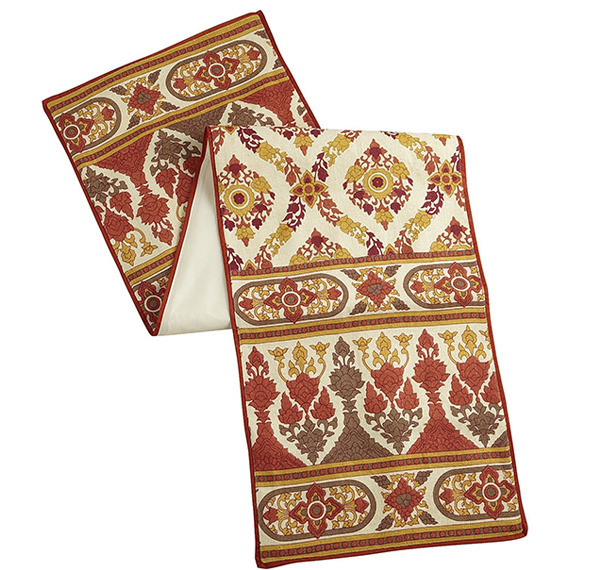 Gorgeous, mosaic-print table runner that is fit for a queen and doubles as a placement. 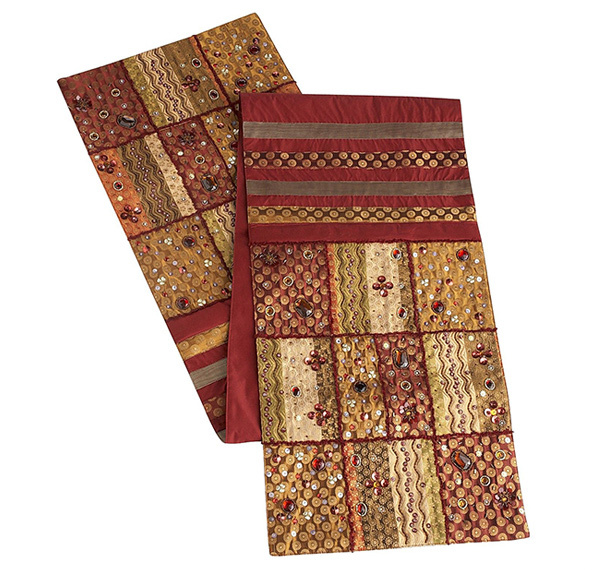 Get a stylish Indian inspired design with this table runner that could bring in not just beauty but even an appetite! 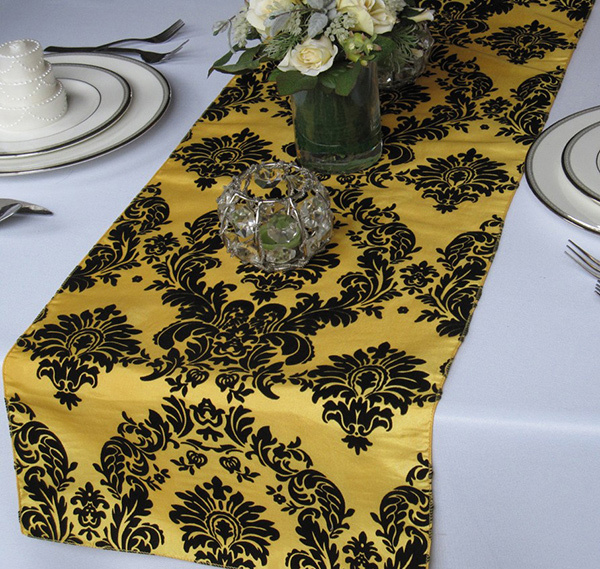 Black and yellow when combined creates a stunning result just like this damask table runner from Floratouch. An intricate tow-toned pattern in traditional batik. It also comes with a napkin with the same print. This one is stunning even if it is merely in black and white! The white scrolling tendrils snake across the table runner to create an ornamental print that’s globally-inspired. 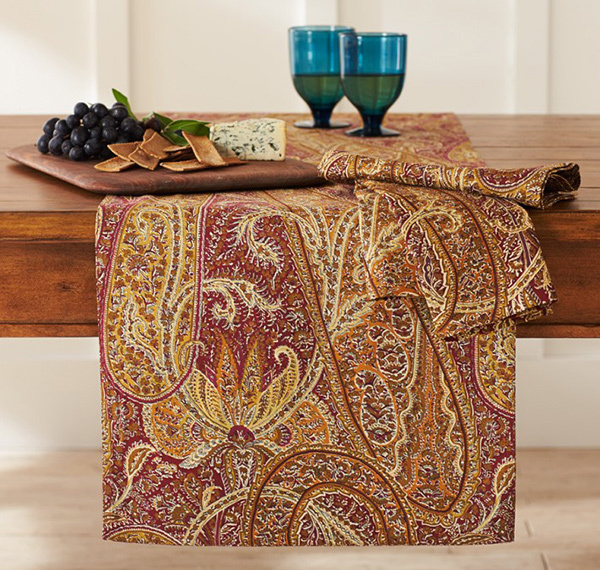 Suited for family meals and special occasions, this table runner has ornate paisley prints on it. 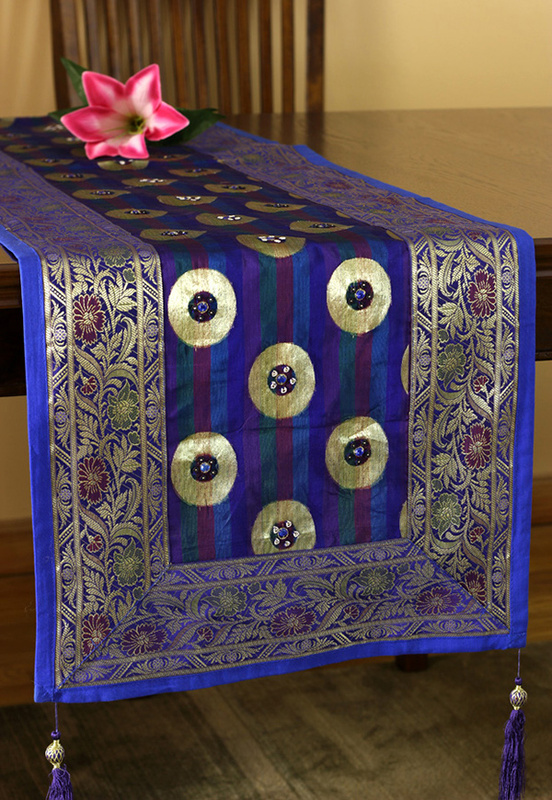 A vivid and colorful table runner crafted with a combination of silk and Indian embroidery. It looks very marvelous! Interlocking damask patterns stenciled on natural jute- a table runner that adds an elegant touch to a dining table! This one depicts wheat stalks, lush leaves and intricate borders in a soft palette of gold, wheat, ivory and green. It was woven from yarn-dyed cotton/linen. 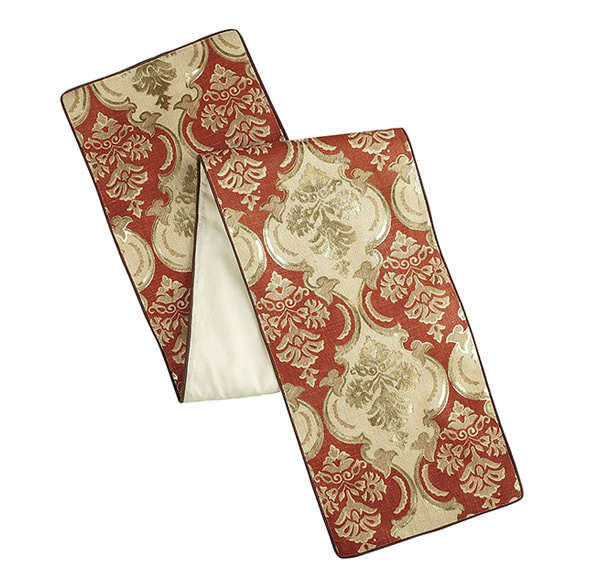 Red and white table runner in damask design will make your centerpiece pop! 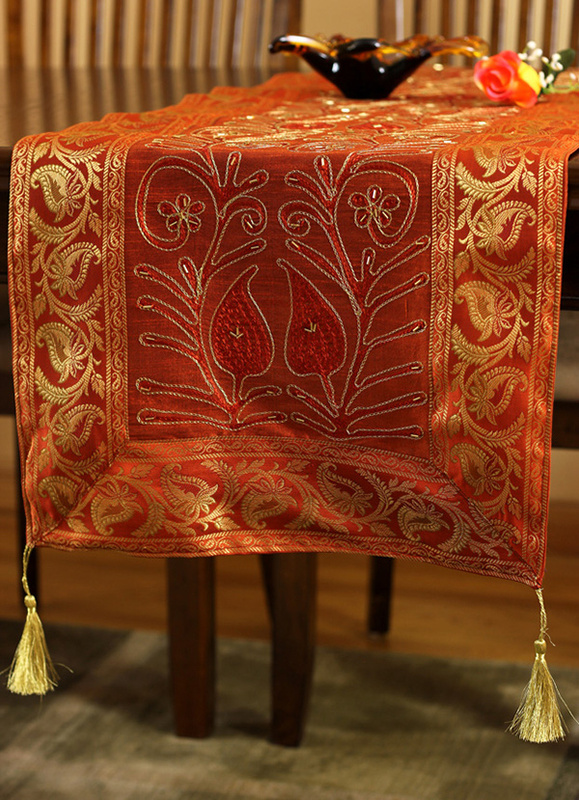 You can see the beauty of this table runner through the fascinating techniques of embroidery with hand-stitched beaded design. These table runners are indeed lovely! The mere thought of adding a decoration that is crafted with love already enhances the value of your dining set up. The result would always be lovely. You will surely impress your guests and make them feel like they are eating in a first class restaurant right in the corners of your very home! Add a creative centerpiece on it to complete the look!